This year’s nominees for the Sidewise Award for Alternate History have just been announced. The winners will be announced at Chicon 7, this year’s Worldcon, in Chicago, Illinois during the weekend of August 30. This year’s panel of judges was made up of Stephen Baxter, Evelyn Leeper, Jim Rittenhouse, Stu Shiffman, Kurt Sidaway, and Steven H Silver. The Sidewise Awards for Alternate History were conceived in late 1995 to honor the best allohistorical genre publications of the year. The first awards were announced in summer 1996 and honored works from 1995. 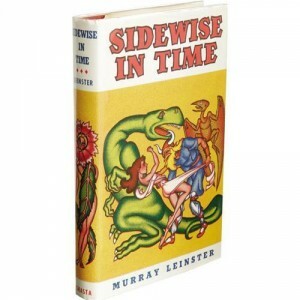 The award takes its name from Murray Leinster’s 1934 short story “Sidewise in Time,” in which a strange storm causes portions of Earth to swap places with their analogs from other timelines.